Report looks at what this means for government and business. London, 20 June 2017 ‑‑ OECD countries could add around $2 trillion to their total gross domestic product (GDP) in the long run if the employment rate for workers aged over 55 was equal to best-performing EU country Sweden, according to PwC economists. The PwC Golden Age Index is a weighted average of indicators – including employment, earnings and training – that reflect the labour market impact of workers aged over 55 in 34 OECD countries. The potential long-term GDP boost varies significantly across countries, from around 1% in Korea and 2% in Japan to around 16% in Greece. Other countries lagging behind in the index could also experience large gains, such as Belgium (13%) and Slovenia (12%). Given its size, the US has the largest potential absolute gain of around $0.5 trillion (around 3% of GDP). The Nordic countries once again perform strongly on the index, with Iceland topping the list and Sweden in fourth and Norway in sixth place. Denmark (13th) and Finland (14th) don’t perform quite as well as their peers, but still make it into the top half of the OECD rankings. Israel has climbed one place to third since last year, Korea and Japan have each climbed two places to seventh and eighth respectively, Australia are up four places to 12th, and Germany up two places to 15th. 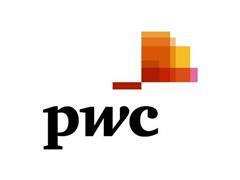 The PwC report focuses in some detail on the trends in the UK, which also offers some lessons for other countries. While good progress has been made over time in the UK in the employment rate of older people, much remains to be done - with a potential £80bn boost to UK GDP if it can match the Swedish performance. introducing measures to combat age discrimination in all aspects of employment. “For employers, flexible working and partial retirement options can pay dividends, as can redesign of the workplace to meet the needs of older workers. Flexible working policies can incentivise women to remain in work longer, so having the right policies in place will increase the employment rate of those over 55 and may help to reduce the gender pay gap which is shown to increase with age. Methodology: The PwC Golden Age Index combines national performance on the following labour market indicators (with relative weights shown in brackets): employment rate for 55-64 year olds (40% weight); employment rate for 65-69 year olds (20%); gender gap in employment for 55-64 year olds: ratio women/men (10%); incidence of part-time work for 55-64 year olds (10%); full time earnings for 55-64 year olds relative to 25-54 year olds (10%); average effective exit age from the labour force (5%); and participation rates in training: ratio 55-64 to 25-54 year olds (5%). These indicators are normalised, weighted and aggregated to generate index scores for each country. The index scores are on a scale from 0 to 100, with the average OECD value in the base year of 2003 set to 50. However, the average index values for 2007, 2014 and 2015 can be higher or lower than this 2003 baseline. All data are taken from the OECD. We focus mostly on the 55-64 age group for data reasons. We do, however, include total employment rates for 65-69 year olds in the index and look at all workers over 55 in calculating potential boosts to GDP from higher employment rates for older workers. The latest data available across the broad range of countries covered are for 2015. A copy of the PwC Golden Age Index is available at www.pwc.co.uk/goldenage​.